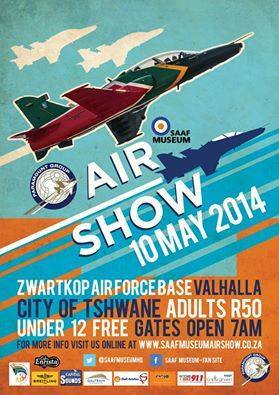 The 10th May 2014 is a date not to be forgotten by all aviation enthusiasts, the South African Air Force Museum will once again be hosting their annual air show. This year they have teamed up with the Paramount Group, Africa's largest privately owned defence and aerospace company. Mr Vic Zazeraj, CEO of Paramount addressed a media briefing earlier in the week and assured all that "Paramount Group are very excited to sponsor South Africa's premier air show as we celebrate our 20th Anniversary"
The Officer Commanding SAAF Museum, Lt Mike O'Connor assured all present that the day will be action packed with all the South Africa's favourite aircraft taking part in the show. All eras of war-bird history will be covered from the second world in the form of the crowd pleasing P51 Mustang to the Modern day SAAF fighters. The Gripen will be flying a sunset display which is almost certain to include a spectacular flare drop. 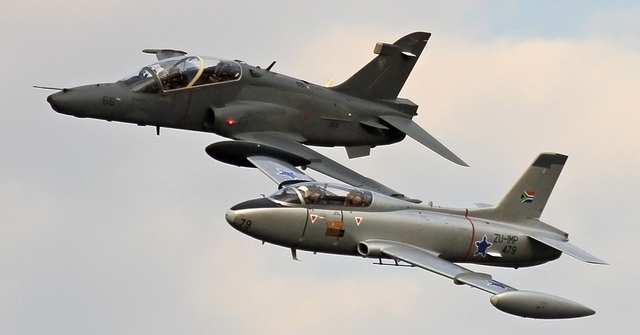 The Cheetah, Hawk Mirage F1 are also scheduled to make an appearance. The prop contingent will be made up of a massive Radial formation and a "Pearl Harbour type Tora-Tora attack". Little Annie an Antanov AN2 is also set to make an appearance, to mention but a few. The SAAF museum have once again joined forces with the Gautrain, Gautrain busses will be made available to move people between Centurion Station and AFB Zwartkop. To celebrate this partnership a race was organised between the Gautrain and one of the SAAF Museum's Alouette II helicopters. The race took place between Midrand and Cenurion Stations, a journey that took only 7 min. 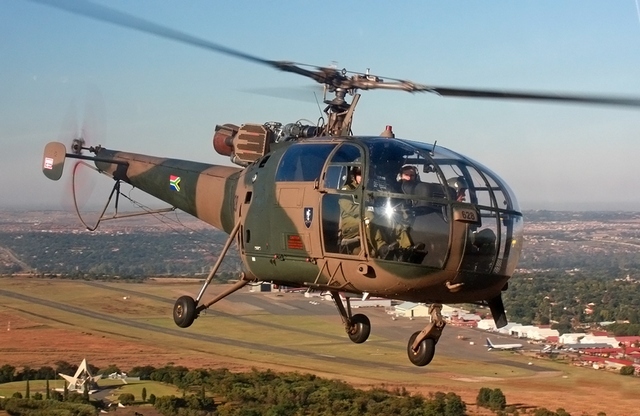 The Alouette piloted by Gen Burger, Commander Heliecopter operations in the South African Air Force, initially pulled away from the train but soon reeled in and the Gautrain managed to just squeeze past as they entered Centurion Station. 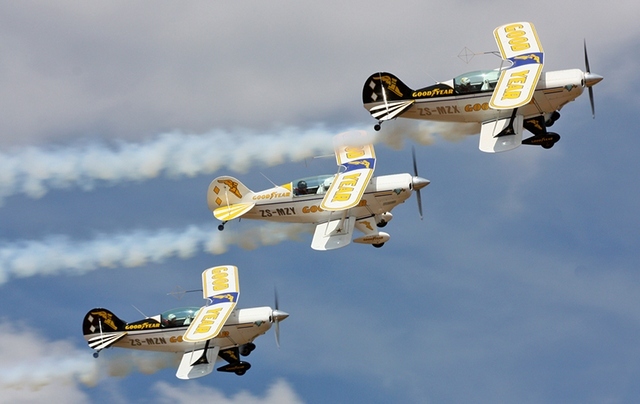 The SAAF Museum will be catering for aviation fans of all ages, the children will be looked after at a kiddies area with ongoing entertainment, the older folks can visit the beer garden which is situated so you won't miss any of the action. Mango airlines and The SAAF Museum will be hosting an Aviation Career Expo on Friday the 9th and on show day, Mango are determined to igniting aviation passion amongst the youth of South Africa. Many role-players in the aviation industry have been invited to attend the Expo. Gates will open at 06:00 and tickets will be available at the gate, at only R50 for adults and children under 12 years absolutely free this is a "Must Attend Event" for not only aviation junkies but for anyone looking for a great days entertainment. 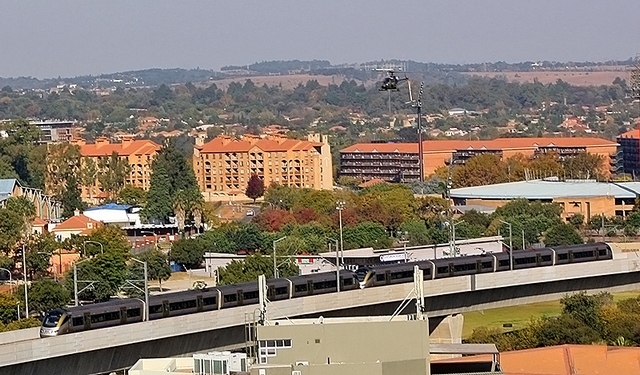 Plenty parking will be available at Bays Hill to the north of the Base and at a nominal fee of R20 limited parking will be available at the "Old Air Force Gym"and as mentioned before the Gautrain will provide services throughout the day to and from the centurion Station.